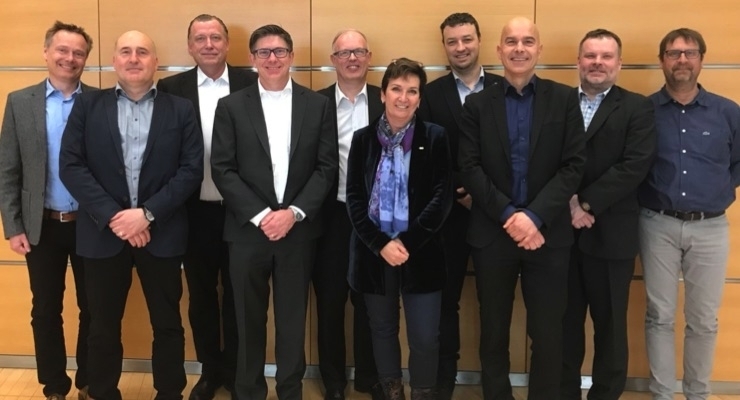 The members of the OE-A (Organic and Printed Electronics Association) during the annual General Assembly in Munich, Germany appointed Stan Farnsworth, NovaCentrix, as the new chairman of the Board of Directors,. Dr. Xioalin Yan, Guangdong JUHUA Printing, was confirmed as vice chairman for Asia. Dr. Alain Schumacher, IEE, and Richard Ellinger, American Semiconductor, were elected as vice chairman Europe and North America, respectively. “Jeremy Burroughes’ [previous chair] leadership has strengthened the OE-A as a leading international network including developing strong ties with the flexible/hybrid electronics network in Asia, especially in China," Farnsworth said. "Under Jeremy’s leadership, the OE-A membership has benefited from stronger alignment and engagement with end users.